When your inbox is flooding you have to get more organized. Check if you add value, prioritize or know when to skip an email. You know this feeling after coming back from a holiday finding your inbox flooding with emails? Or even on a normal day do your emails give you a headache? 1-	Are you adding value? Sometimes we reply to emails just to reply, but the time you waste writing this email where you don’t add anything new to the topic is time wasted for you and for the receiver. 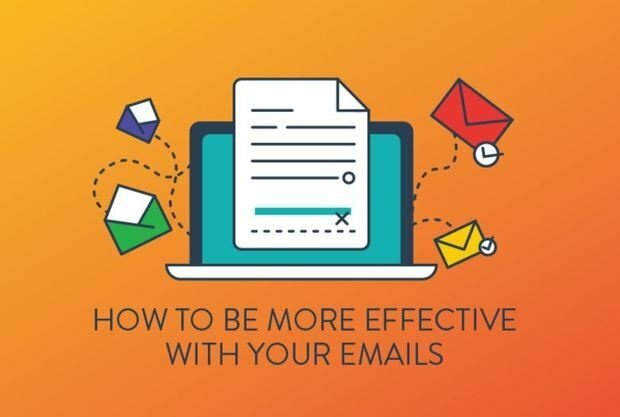 Instead, focus on getting something done and write the email about that, always send an email that adds value to the reader. Although it seems obvious, it’s good to repeat. Don’t reply in the order you got the emails, instead try prioritizing them according to which ones need a reply now and which ones can wait till later. We fight every day not to get distracted (as much as we can). It will help to save the links and vides that you receive in your inbox for later. 24 hours is the widely-accepted window in business when it comes to response time. However, you have to know which emails can’t wait this time. Answer those small issues that will take a few minutes, then dedicate a 30-45 minute window to the more challenging emails that need some preparation or focus. Sometimes things keep coming back and forth in email, wasting a lot of time without getting fixed. You have to know when to leave the inbox and pick up the phone or go for a face to face meeting to get things done faster.